By dan9298, November 22, 2008 in Plugins - Publishing ONLY! MODERATORS NOTE: This effect is incompatible with Paint.NET 4.x. 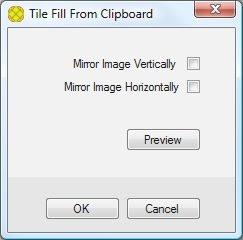 Please use 'Fill From Clipboard' as an alternative. This addin fills the current image with a tiled version of another image. Just copy an image to the clipboard, create a new image that is larger than the first, and run the addin. It can be useful for creating textures, or patterned backgrounds. Its like seamless texture marker except if you dont have 1 big picture to "texturise"
It could be pretty useful, Thanks dan9298! Wow I'm surprised this doesn't have much recognition, it's a great plugin! You will save me a lot of time! Thanks! I hate to ask but, *cry* where is the addon in paint.net? I cannot find it. TYIA! It is located under the Fill submenu in 3.5.11, unfortunately it is not yet compatible with the current 4.0 beta build 5268. I can't find it under the fill submenu. BTW I'm using version 3.510.4297.28970 (to the last decimal in the properties file). Images aren't showing for me? Here's a copy of the source code that's compatible with paint.net v4.0.7+ (when paint.net started using .NET 4.6). I've made some minor changes to the code so that it will compile, and so that it won't crash. No other changes were made. This is only meant for educational purposes, so I won't provide a built DLL file. If you want a proper tiling plugin, use the one(s) Boltbait created. Strange...so I guess you can see them. Still just image name text here? Yup. Showing up for me on Firefox. What browser are you using? Tried refreshing (F5)? Still not showing for me - tested with Firefox, Edge and chrome. All I see is the text "swirlqj5.jpg". Perhaps Imageshack doesn't like the U.K.? No big deal for me as rest of forum is fine... but I guess most images are hosted on PB or Imgur. Now I have the first showing and the others not showing. I'll host them elsewhere later today. 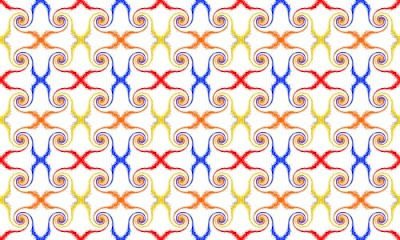 Do you see the imfges on this link: http://dan9298.blogspot.com/2008/11/tile-fill-addin.html? They're showing up in the first post for me on my home system. How strange. Sometimes photobucket.com and Opera are not very friendly. For this reason, I use Mozilla Firefox or Microsoft Edge.